If I be a man of God, may FIRE come down from heaven and consume each and every enemy of your life. This Easter may fire destroy HIV and cancers, diabetes, irregular blood pressures, back, neck pains and any sickness. May fire consume the power of witchcraft in your home, fire to destroy the witches in your finances. When last did you go out of your way because He (God) is asking you to do it? When last did you do something that cost you your time, your finances, your resources, your effort or your pride? If you will put God FIRST, His blessing shall fall upon the works of your hands. From this day forward, the world will know that you belong to Jesus. So shall it be! God is a God of justice. He sees the wrongs. He sees what’s unfair, who left you out, who betrayed you. You’re going to be restored to greater honor. Because of what tried to stop you, God is going to take you further than if it had not happened. When you get a double dose of trouble, you’re going to get a double dose of favor. Now quit believing those lies that you’re stuck, that the bad breaks will always limit you, that you’ll never get past the divorce, the financial difficulty, the sickness. That is not how your story ends. AMEEN SURELY MY LORD. DEVINE FAVOUR IN MY FAMILY. IT IS WELL IN THE NAME JESUS, I HAVE SUFFERED ENOUGH. I RECEIVE DOUBLE DOSE OF GREATER THINGS. Amen in Jesus Name. May God promises come to past in my life. Amen Amen l receive it in Jesus Name. May God promises come to past in my life. Thank you Daddy ALPH LUKAU. Amen, right prayer for me at this time, may the Lord exposes & destroys witches in my home, in my finances, in my relationship, every area of my life & family & restores us, yes like nothing ever happened in Jesus name. God bless you Man of God. I receive it in Jesus name. Amen. ThankYou Lord. Thank you Pastor Lukau. Amen, Let it be as the spirit of God directed you to pronounce the miracle money for 500 people. I receive in the mighty name of Jesus Christ amen . 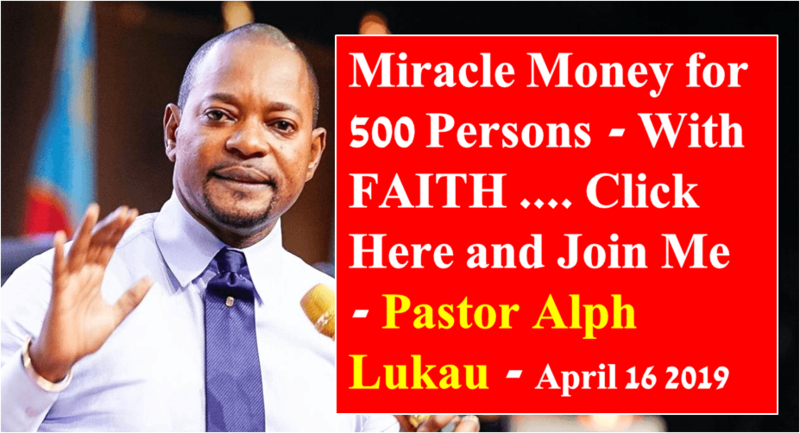 MAY THE LORD GOD OF PASTOR ALPH LUKAU LOCATE ME AND MY FAMILY IN THESE AREAS, WITCHCRAFT, FFINANCIAL STABILITY, HEALING AND RESTORATION, PROMOTION AND SALARY INCREASE, ADDICTION AND MARITAL ELEVATION, PEOPLE LOOKING DOWN AT US, SICKNESS AND PROTECTION FROM EVIL FORCES, GOSSIPING AT WORK AND NEIGHBORHOOD. GOD BLESS YOU SIR AS I BELIEVE IN GODS MIRACLES AND SUPERNATURAL. I receive may my God go before me in every situation. Thank you pastor I believe and receive this word. April 16 ,2019 at 1:30 am , 9,00 am. Thank you GOG because you GOG of l am and I am. Jesus my Lord and my God I thank you for sending your Son Alpha Lukau to rescue me from the hands of my enemies. My prophet Alpha Lukau I want you to send fire from heaven to destroy my obstacle / hindrances in my life and restore my stolen blessings / miracles from Satan. let me receive this prophecy in Jesus might name. Fire fire fire fire fire to my enemies.